Microsoft’s belief is that PCs can take a little bit from column A and a little bit from column B and the result is a product that’s more flexible. Apple’s belief is that it should make the best product in column A and the best in column B, and that you can’t do either if you take a little bit from both. 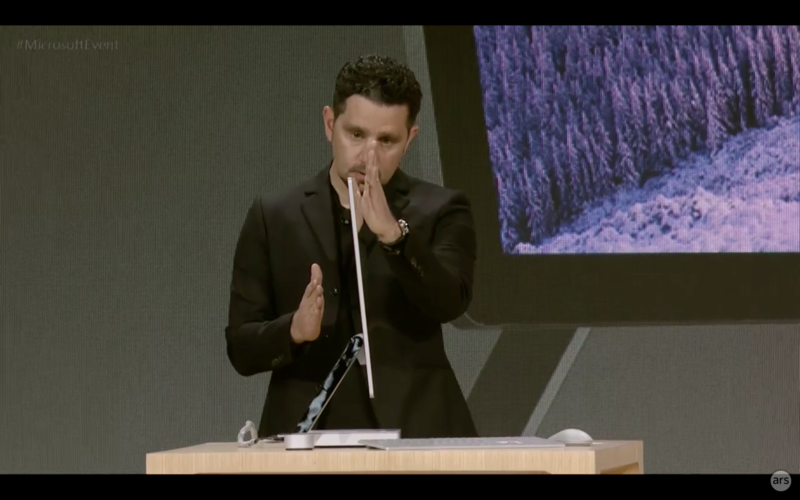 My preference is for the latter approach, but I’m trying to look at the Surface Studio with an open mind. It certainly appears to be substantially more elegant and impressive than any Windows hardware I can recall, it’s true. But I’m not sure I can see myself owning one. From the pictures, it looks elegant, but not that elegant—there’s something that strikes me as unconvincing about the monitor supports and the box that holds the CPU. The designers seem to have optimized for the specifications of the display; it’s as if the goal of having the thinnest monitor out there prevailed over the need to integrate everything into one element. I also already have two Surface Pro tablets, which I rarely use, and that colors how I look at this machine. As someone who has been extremely comfortable in the Apple ecosystem for many years, my experience is that navigating Windows is, well, difficult. There are some lovely touches to be found, but it’s far too easy to trip back into the legacy Windows user interface, at which point despair sets in. That said, I have to admit the idea of adding touch to a desktop OS is not without its merits. As I’ve mentioned, I often use my iPad Pro with a Smart Keyboard for extended periods of time, without returning to my Mac. That’s a device that requires both touch interaction and keyboard entry (though not mousing), and it’s come to feel pretty natural to me. In fact, the most telling indicator of whether that combination of interaction methods works is what happens when I’m away from my iPad. I find that when I sit down with my MacBook, I often instinctively reach to the screen to interact with what I see before realizing that that’s not possible. I imagine that today’s children, who are growing up with touch devices, will have the same expectations for all computing hardware before too long. As far as gambles on the future of computing go, I’m not ready to rule out the Surface Studio PC.